Louisiana cast and crew of Beasts of the Southern Wild arrived in downtown Los Angeles for the 18th annual Los Angeles Film Festival. The festival, produced by Film Independent, the non-profit arts organization that also produces the Spirit Awards, featured Beasts as a centerpiece gala. Benh Zeitlin’s Beasts is a folk tale focused on life and survival in bayou country in the southernmost part of Louisiana. 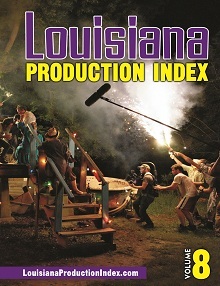 Shot in Terrebonne Parish, the film uses locations in Pointe Aux Chenes and Isle de Jean Charles to create the fictional town of “Bathtub,” a concentration of all the cultural elements of Southern Louisiana in one place. While one would assume that a film that portrays this intimate a look at life in Louisiana was written by a local, Zeitlin was born and raised in New York. He continues, “This little film took a year and a half to make, with people coming down from up north to help, and it eventually led to what would become Court 13, a group of friends who were excited about being filmmakers and making Beasts of the Southern Wild. I fell in love with the city while filming Glory at Sea.” Zeitlin now calls New Orleans home. Beasts may be a folk tale, but for the cast it’s been a fairy tale. Zeitlin was intent on using local talent to portray the characters in his film, even the leads. “It was a tremendous experience and the best feeling when everyone saw the film at Sundance, and when it was over and 1,500 people stood up and applauded,” says Dwight Henry, who plays “Wink,” a dying man who feels the urgency to teach his daughter the survival skills she’ll need to survive in the Bathtub. Henry is a self-made businessman. For the past 15 years, he’s been the owner of Henry’s Bakery and Deli and he is the current owner of the Buttermilk Drop Bakery and Café, located at 1781 N. Dorgenois St. in New Orleans. Zeitlin auditioned over 4,000 girls before he found the star of his film, Quvenzhané Wallis, from Houma. “It was fun because I really wasn’t expecting all this commotion,” says Wallis, who is now nine and in the third grade at Honduras Elementary School in Houma. Wallis acts like a pro on the red carpet and at press interviews, answering journalists with insight and honesty. Zeitlin is asked how long it took to make the film. “It was a long shoot—about 52 days,” he says, and then hesitates. Zeitlin talks about the many challenges he faced while shooting. 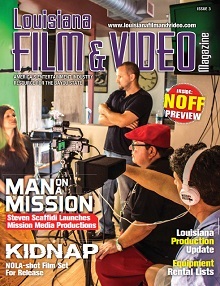 Zeitlin reflects about the movie’s meaning and the impact of writing the script down in Terrebonne Parish. At Los Angeles Film Fest, Beasts of the Southern Wild was generating Oscar buzz, citing the incredible performances of Wallis and Henry, as well as the captivating script and direction. It combines the harsh realities of a girl losing her father, her home and her community. Yet her creativity and imagination gives her the strength to endure.